Are your open rates plummeting? Are you looking for subject lines that will get your subscribers to open your emails? In this blog post, you will learn what kind of subject lines will get that email open. Think about it for a moment, subject lines are the first thing your prospects will see before they open their email. Based on the above stats, one out of three will open their email based on what YOU place in the subject line. If you’re not careful, two out of three will even label your email as spam. If they don’t know you, almost half of your prospects will send your email to spam. That is — before they open it. Imagine getting rejected even before you could lay down your sales pitch. 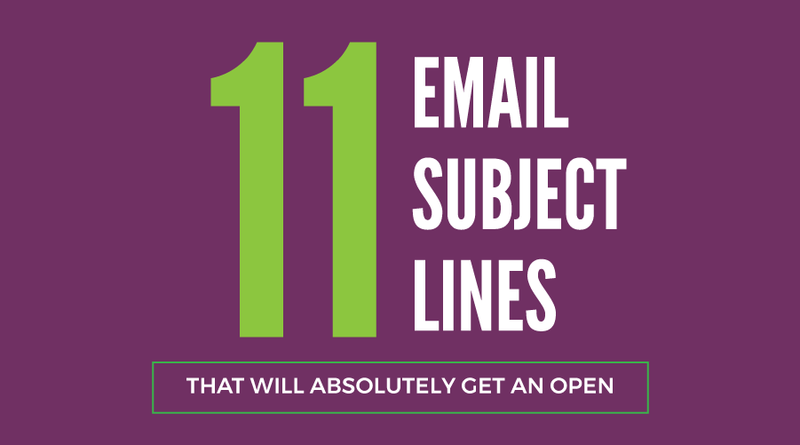 Here are 11 email subject lines that will make people open it. You’ll more likely get a positive response if you appeal to people’s emotion. 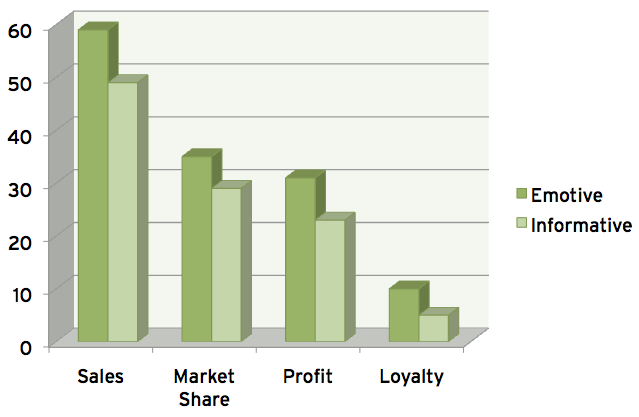 This chart, courtesy of the Ignition Marketing Group, shows more people are ruled by emotions rather than logic. Emotion is a powerful tool in your email subject line arsenal. According to Hubspot, urgency, curiosity, excitement, and joy are the best emotions to trigger your prospects. A generic subject line is almost a guarantee that your email will go to spam. What you should do is personalize your subject line. Include your prospect’s name and location in the subject line to gain his or her trust. If you don’t know the prospect’s name, use the word “you” or “your” to make it appear that you are addressing them directly. Make sure you have some relevant background information about your subject. You wouldn’t send cat food promos to someone who doesn’t have cats or allergic to them. You can tease about the product or service you’re selling but don’t lie or exaggerate. And when you tease your readers, you also arouse their curiosity. You’ll notice that the subject lines just have enough details to stimulate the reader’s’ interest. Just include enough words that will best describe your offer then add a CTA. The idea is to compel your readers to take some action. Humor is a great icebreaker especially if you’re doing cold email campaigns. It’s a good way to establish some sort of rapport with your prospective customers. See to it that the humor will not offend anyone. In this day and age, you have to take note of your reader’s cultural and religious background. What’s funny to a man may be seen as offensive from a woman’s viewpoint. This is the usual practice in the email marketing campaign of the old days. But today, subject lines with ALL CAPS and plenty of exclamation points goes straight to SPAM. Many spammy emails use this kind of subject line. It’s also rude since many readers will interpret it as a sign that you’re yelling at them. SO DON’T USE IT!!!!!! A Yesware survey revealed that adding some number in the subject line can persuade your prospect to open your email. Many of your readers are looking for solutions to problems that they faced at work or home. You can pick one of those questions and use it as an email subject line. Benchmark suggests that after putting the question out, provide the answer immediately afterwards. Timing can also help your email’s chances of getting open. For example, you can send an email that offers a discount that’s only available during the prospect’s birthday. Timing will also help your email’s chances of getting open. For example, you send an email that offers a discount that’s only available during the prospect’s birthday. 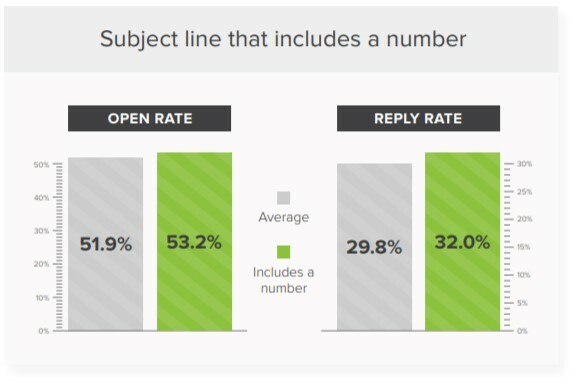 Emails with the appropriate subject line, sent at the right time will improve your open rate dramatically. You may have noticed in your inbox that some of the emails have emojis in them. They are fun and many readers can’t resist the urge to open those kinds of email. Make sure that the emojis can appear on your prospect’s computer or mobile phone. It’s still a new thing and you may need special software to use them. You could include in the subject line that you’re giving a gift or some free stuff. This will get a lot of people to open your email. A Time Magazine article documented how companies that give freebies are actually making money. Big companies like Proctor & Gamble are giving away thousands of free stuffs from razors to diapers. But they don’t consider the stuffs they gave away as a loss but rather as an investment. In reality, the P&G strategy of giving free stuff is actually boosting their sales. You see it has something to do with psychology. Somehow the free item makes the recipient obligated to return the favor by buying a P&G product. Prospects will open your email ONLY if they will get some benefits from it. Your subject line is the best place to tell them about that.